In this Photoshop Effects tutorial, we're going to look at an effect that's very popular with sports and wedding photography, as well as in advertising. We're going to learn how to bring focus and attention to part of an image by making the rest of the image black and white while leaving the main subject in full color. As we'll see, the flexibility of a Hue/Saturation adjustment layer not only makes this incredibly easy, it also gives us lots of freedom and control over the final effect, allowing us to colorize the image if we choose rather than leaving it black and white, and even enabling us to bring some of the photo's original color back in, all with very little effort. Use the selection tool of your choice to select the area(s) of the image that will remain in color. Press "Shift+Ctrl+I" (Win) / "Shift+Command+J" (Mac) to invert the selection. Click inside the image to sample a color to use as your tint color. The sampled color now appears as the Foreground color in the Tools palette. 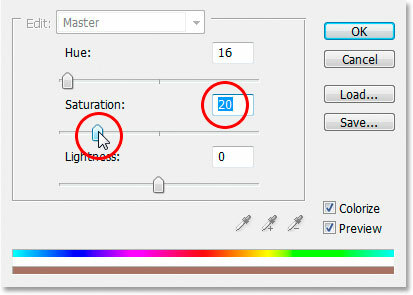 Select the "Hue/Saturation" adjustment layer from the list. The Layers palette showing the newly-added Hue/Saturation adjustment layer and its layer mask thumbnail. 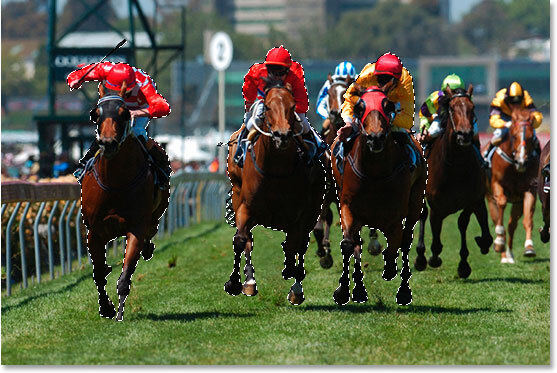 The area that was selected before I added the adjustment layer, which in my case was everything except the three horses and jockeys in the foreground of the image, appears as white in the layer mask, which means it will be affected by the adjustment. The horses and their jockeys, which were not selected, appear as black and will not be affected. 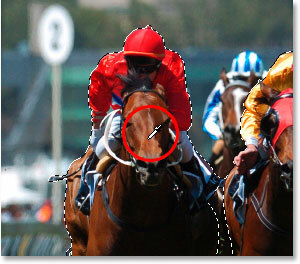 Drag the "Saturation" slider all the way to the left to remove the color from the image. The image after desaturating the colors. If this was all you wanted to do with the image, you could end here, but on the next page, we're going to be using the color we sampled to tint the black and white areas, and we'll also be bringing some of the original color back in to complete the effect. Check the "Colorize" option to tint the black and white areas with the color you sampled. 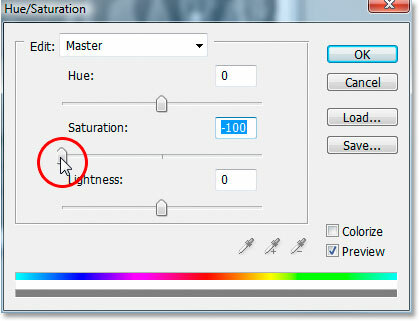 Drag the Saturation slider to adjust the intensity of the color. The image after colorizing the black and white areas. 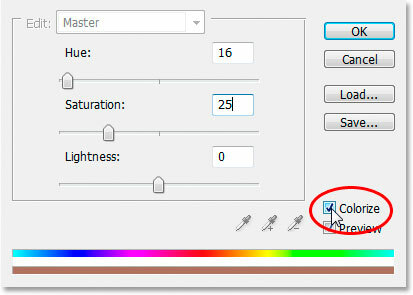 Change the blend mode of the Hue/Saturation adjustment layer from "Normal" to "Color" for a slightly different effect. 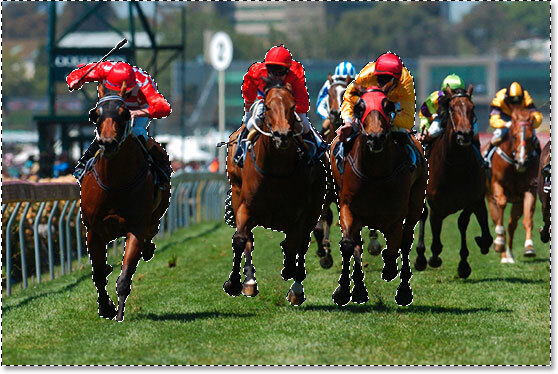 A comparison of the two blend modes to use with the adjustment layer. "Normal" is on the left, "Color" is on the right. I'm going to go with the "Color" blend mode with my image, since I think "Normal" makes it appear too dark. Lower the opacity of the Hue/Saturation adjustment layer to bring back some of the original color to the colorized areas of the image. And there we have it! That's how easy is to bring more focus and attention to part of your image with color thanks to the power and flexibility of our Hue/Saturation adjustment layer. Visit our Photo Effects section for more Photoshop effects tutorials!